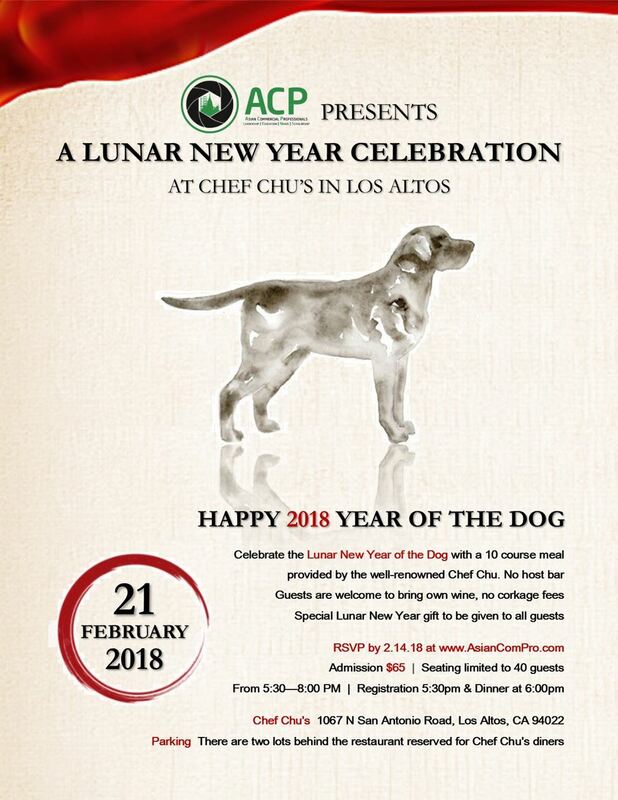 We invite you to join us in celebrating the Lunar New Year of the Dog with a 10-course meal prepared by the well-renowned Chef Chu's in Los Altos. Ticket Price is $65 per person (tax & tip included) for ALL attendees (Annual Sponsors, Membership Plus, Members, Non-Members). No corkage fee will be applied if you bring your own bottle of wine. This is a non-ACP event. Seating is limited to 40. Advance registration only; no walk-in's for this event. We will have our own private area upstairs.